In Florida, If You Don’t Like The Color Of Somebody’s Skin, Just Pick A Fight, Become “Frightened” And Then Shoot That Person In Cold Blood: It’s Legal! I got away with murder! 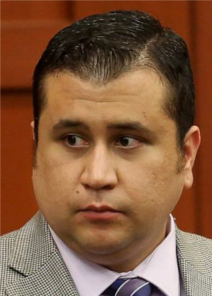 SANFORD, FL – As predicted by many, a cold-blooded murderer, George Zimmerman, was found not guilty because he is white and his victim, Trayvon Martin — though still a minor child — was black. That’s justice in The Sunshine State.